You may have a perception of foreign currency trading as being something only geniuses with pocket protectors are capable of. Or maybe you picture shady back-room deals made by crooked bankers in distant countries. It's not a market that gets the attention that stocks do, so many people have misconceptions about its accessibility. In fact, forex trading is something that anyone can do. All you need to multiply your capital by investing in currency is an account with a broker, a small amount of cash, and this book. Starting with even a couple hundred dollars, you can use the techniques inside to make thousands in your very first trades. This isn't an academic text describing the history and importance of the forex markets. If you're here, we assume you already know that. Instead, this book is a detailed guide to understanding strategy and tactics that will enable you to make money on the forex market even while competing with banks, exporters, and corporations. Forex markets are some of the largest, most liquid markets in the world, and with our help, you will be taking advantage of them in short order. Yes, many of my friends are also interested on trading particularly this Forex Trading, as a matter of fact this e-book was also recommended from a friend. I like this audio book. It's educational. Insights are useful especially now that I am trying to Forex learn more about how to make money through Forex. Though I have already known basic but this book but I love learning more about the tactics which this book gladly share for its reader's advantage. Would you consider the audio edition of Forex Trading to be better than the print version? It is more convenient, I can multi task doing something (house chore) while reading / listening. I like the information I learned from this audio book. It's pleasing to ear and the contents are useful to me especially the strategies to multiply cash flow. That was truly awesome. Direct to the point additional knowledge on Forex trading. Yes, I understand it's risky but I believe it's worth trying. If you could sum up Forex Trading in three words, what would they be? Forex trading has a huge market and learning its tips and tricks or strategies to gain is so much worth trying. This is the learning that would be useful in money making. During this season, people has money-and better to spend it to something that would grow. This book fuels the readers mind to think about ways on how to grow the money and invest it in Forex trading. Though it is tricky and yes, risky, but consider this thought: everything is risky. But if I take risk, it should be on something worthy. This is the type of information that I would listen again and again whenever there's time cause I know how valuable the information shared. Forex trading has a huge market and learning its tips and tricks or strategies to gain is so much worth trying. What did you love best about Forex Trading? I would love to listen to this audio book during my free time again and again until such time that I could memorize those strategies and tips. This is worth sharing, too. I already learned the basic of Forex trading. It is commonly known as Foreign exchange or Forex. It is an exchange of one currency for another at an agreed exchange price on the over-the-counter (OTC) market. This has been known as the world's most traded market and it is done over the counter. With that information alone, it is pretty clear that this is an exciting world to trade in. Imagine a vast market with huge opportunity to grow ones money and investment through currency trading. Would you listen to Forex Trading again? Why? I would love to listen to this informative audio book until I master it. It's worth my time listening to it. 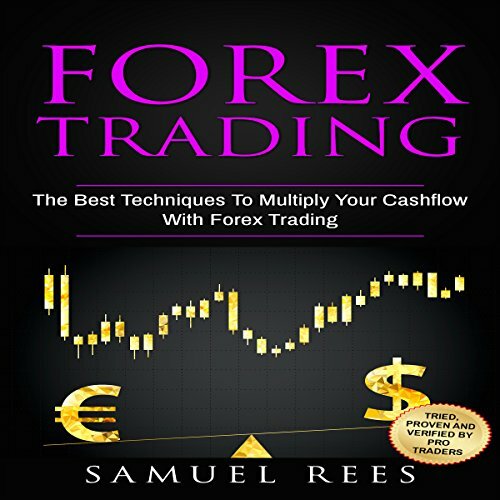 I always thought that forex trading is complex matters but when I listened to this audio book, it was not as complicated as I thought it was. The narration was cleared and pleasing but I like the strategies shared more than anything else.